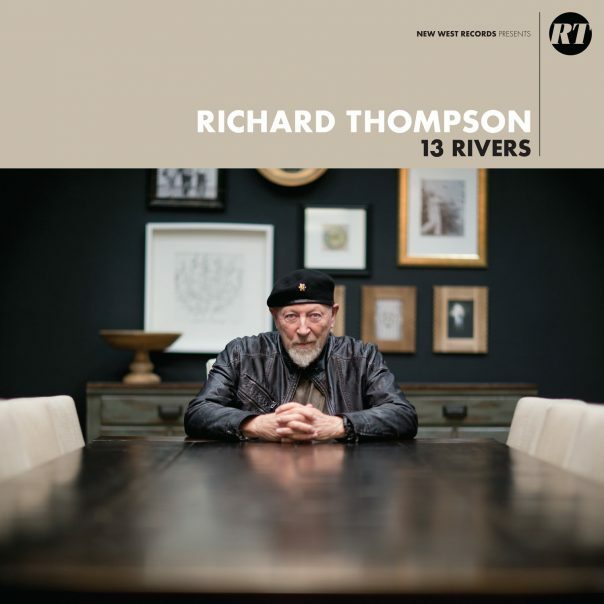 To call Richard Thompson’s newest album “highly anticipated” would be a gross understatement. In his tenured career spanning more than half a century, he has achieved critical acclaim as an influential soloist and a frontman alike in the British Folk movement. With the release of his 19th solo album, 13 Rivers, his first self-produced record in more than a decade, Thompson makes no compromises when telling stories the way he’s done for so long. The album is deeply personal to Thompson from top to bottom. Even the title 13 Rivers is no coincidence. Thompson says he sees each track as its own story of his own experiences. As he previously put it, “each [song] is like a river. … it is some kind of bizarre parallel existence to my own life.” This contextualization is immediately clear. Each song varies greatly in its message and mood, incorporating elements from different genres and styles. 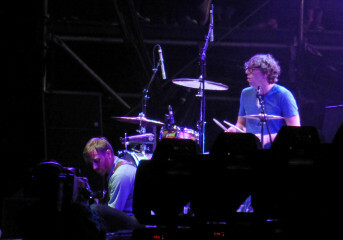 The album begins triumphantly with a resonant and tribal drumbeat complementing a single electric guitar. The nomadic tone lays a foundation for the piece’s lyrical theme while the percussion evokes galloping horses. The journey 13 Rivers takes begins with a song about a quest, with Thompson singing about seeking out a storm and leaving what it represents up to the listener. Although the song centers around an impending hardship, its execution creates a strangely hopeful vibe. Richard Thompson waits until four minutes into the song to show off his soloing skills, but the song retains it’s stoic and composed tone. It ends ominously, with Thompson repeating the lyrics “The storm won’t come” before closing with a two-minute outro that awakens further imagery of the river through which the album will flow. Thompson’s sound takes a turn toward classic rock on “Her Love Was Meant for Me,” an allegorical tale of heartbreak alongside commanding blues guitar. A choir of baritone voices appears toward the end to give emotional depth to the title line. The song’s guitar solo creates a danceable flow to end the piece, perfect for a performance in a dimly lit biker bar. Thompson delivers a similar message with “Tears.” The song has a more upbeat melody as the opening lines “holding, loving, sharing, kissing” play like an ascending musical scale, a pattern repeated with several similar lines throughout the song. More than most other pieces on the album, “Tears” is a catchy earworm, while the others cuts value storytelling over poppy melody. It’s a pleasant break from the more serious tone of the rest of the album. The album ends calmly with “Shaking the Gates.” Instrumentally, this song stays fairly consistent throughout, without distracting from the somber, impending message of the title. Simple percussion accompanies a guitar seemingly looping the same two bars. 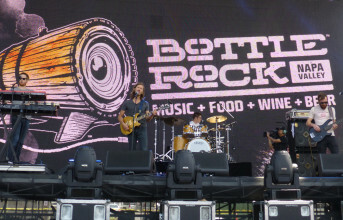 The sonics become a background for Thompson’s message. An emotive story of mortality, it’s a fitting conclusion to end 13 Rivers. “If angels are real then who needs dreams?” Thompson sings, setting the mood. Thompson reflects on a life well lived with lines like, “If life is for living, I’m your man.” He sings as if to accept his age rather than pine for his youth. The bare-bones guitar solo provides a soulful embellishment. The album closes with Thompson repeating the lyrics “I’m shaking the gates of hell” to drive the message home. Let’s hope this isn’t a forewarning that he’s considering laying his guitar down. Follow writer Nick Gumas at Twitter.com/NickGGumas. A proud fourth-generation San Franciscan, Nick Gumas has spent his life enthralled with the Bay Area and its music scene. A graduate of San Francisco State University, Nick holds degrees in communications, theatre and music, with an emphasis in opera and classical performance. He spends most of his free time listening to a mix of punk and reggae, and credits Blink 182 for inspiring him to dedicate his life to the music industry.